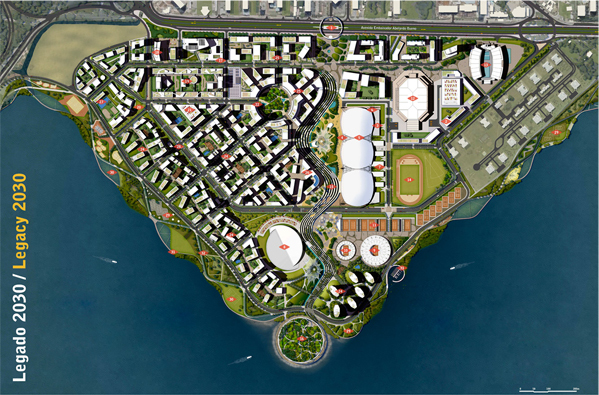 The U.K.-based consultant AECOM, 2011 winner of the General Urban Plan for the Olympic Park in 2011, is finalising its construction plan which the appointed Rio Mais consortium will implement. The plan has special emphasis on optimising circulation areas and the integration of public areas. Arcadis Logos, the Brazilian subsidiary of Dutch global engineering and consultancy firm Arcadis, will carry out the project and construction management for the Rio 2016 Olympic and Paralympic Games. Arcadis Logos was selected by RioUrbe – the Office of Urbanisation of the City government of Rio, the Rio Prefeitura, and the Empresa Municipal de Urbanização (particularly responsible for new housing associated with the Olympic projects) and the Office of the Olympics, the Empresa Olímpica Municipal, following a competitive tender process. Arcadis Logos will work on major construction projects for the Games, including the Olympic Park and the Athletes' Village, providing time and cost planning, technical support, construction supervision and quality control. The project comprises 75 hectares and involves 34 competition venues, including tennis courts, swimming pools and the velodrome. The company will also be involved in the development of support facilities such as an energy centre and a sewage treatment plant. 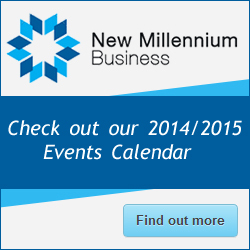 Work will continue until early 2016. Arcadis Logos was previously to a program management role for the 2014 World Cup soccer arenas and to provide project management consultancy services for 27 months, for the first phase of the expansion of the Guarulhos Airport, in São Paulo… the project is to double the capacity at Guarulhos Airport which currently handle some 25 million passengers per year. Arcadis subsidiary EC Harris and Mace are project managing the Kingdom Tower project in Jeddah, Saudi Arabia, planned to be the world's tallest building, standing over 1km in height. Globally, Arcadis employs 22,000 people and has €2.5 billion in revenues. In Rio, contractors have commenced earthmoving work and demolition of a racetrack at the centre of the Olympic Park site. Construction of the main facilities will start in July with principal focus on infrastructure work and sports facilities. The Rio Mais (More Rio) consortium is in charge of construction. The company will also construct the main press centre and a 400-room, five-star hotel. Odebrecht Infrastructure is the consortium’s lead contractor; other member firms include construction companies Andrade Gutierrez and Carvalho Hosken. Each is a major property owner/manager. Rio Mais was the only consortium that bid for the project. The public-private partnership between Rio Mais and the city government is a 15 year contract, with a successful bid / budget of US$690 million (R$ 1.375 billion) and with US$270 million of the total coming from the Rio Prefeitura. For the racetrack, two of the existing eight bleacher sections have been left standing and will be integrated into the new structure. Commercial and residential buildings also will be constructed in areas near the Olympic Park and some 900 families will be rehoused. In keeping with Rio 2016’s environmental and sustainability principles, the demolition work will aim for 70% of the material to be processed, screened and re-used in the new construction. Recycled materials will be used in the sub-base layer of the pavement, among other uses. Separately, a construction program is soon to commence for the International Broadcast Centre building and for venues for tennis, aquatics (the building of the new Maria Lenk aquatic centre alongside the existing one), cycling and handball. 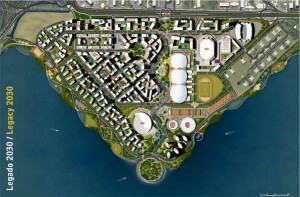 The client for these projects is the Rio Prefeitura. - for the Handball Arena; consortium Lopes Santos & Ferreira Gomes Arquitetos Ltda, MBM Serviços de Engenharia Ltda and DW Engenharia Ltda). The Olympic Park will be one of the main sporting installations of the 2016 Rio Olympic and Paralympic Games. During the event, the location will host competitions in 15 Olympic and 9 Paralympic sports, while also serving as a meeting place for the public, sponsors and athletes. After the games, the location will have great potential for development – sporting equipment and new projects will make up an area that will serve as a reference for urban planning and sustainability for the entire city. 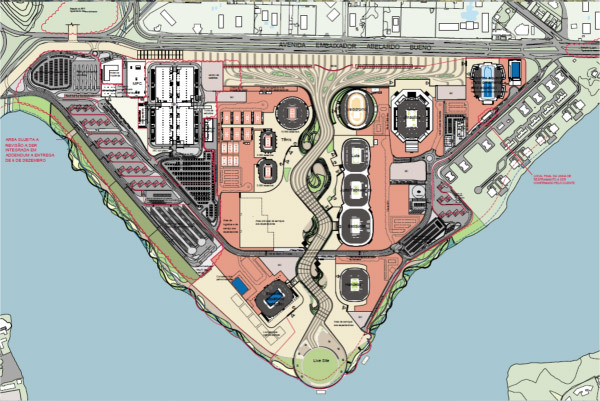 1st half of 2016 – Complete Delivery of Olympic Park to the Rio 2016 Organising Committee. August 2016 – Opening of 2016 Rio Olympic Games. 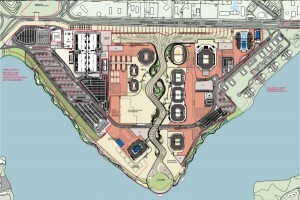 The Olympic Park will house the Olympic training centre, Centro de Treinamento Olímpico (COT). The COT arenas are a permanent installation made up of three permanent, multi-use arenas, one of which will seat 16,000 spectators, while the remaining two will have capacity for 10,000 spectators. During the Olympic Games, these arenas will host basketball, judo, tae Kwando, wrestling and Greco-Roman wrestling, while during the Paralympic Games they will host the wheelchair basketball, wheelchair rugby, judo, bocce and seated volleyball games. In legacy mode, post-Games, the COT will comprise about 25% of the full Park. Why is Brazil not competitive?